According to Ayurveda, up to ninety percent of disease originates in the gut. Symptoms of indigestion, such as gas, bloating, reflux, and others, are early signs of imbalance that can lead to more serious conditions if not treated. 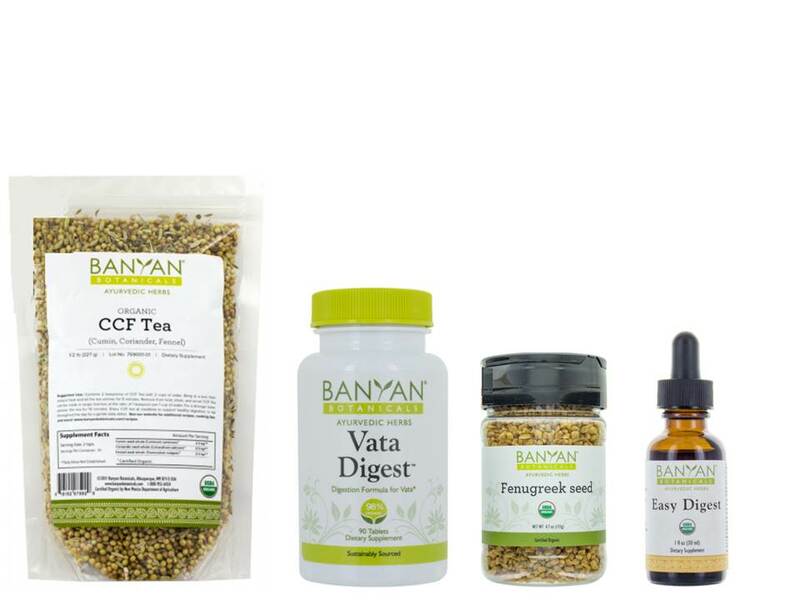 Our Healthy Digestion set has just the right tools for you to eliminate these symptoms naturally and optimize the health of your digestive system. 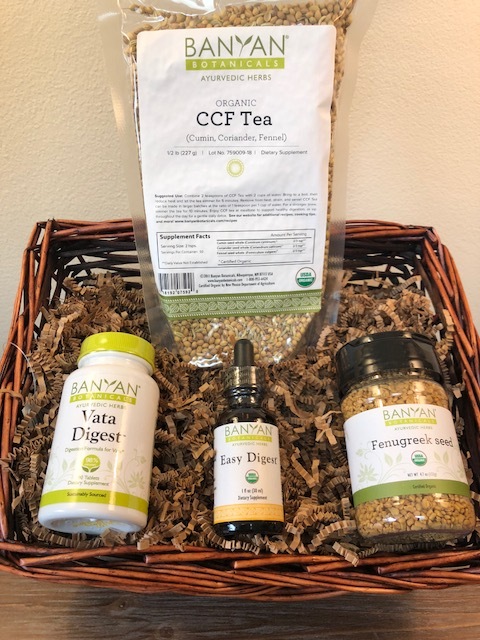 The CCF Tea is Ayurveda’s secret weapon to detoxifying and strengthening the digestive system. You can either brew a cup after meals, or brew a full batch to sip on throughout the day. It’s simple, yet super effective. Easy Digest Liquid Extract is excellent for treating symptoms of indigestion after meals, and the Vata, Pitta or Kapha Digest Tablets can be taken daily to help optimize digestion. To find out which “dosha” you are, click here to take Banyan’s dosha quiz. The fenugreek seeds can be used in cooking, either whole or ground, or brewed as a tea to help stimulate digestive power and assimilation of nutrients. Spices truly are nature’s best medicine when it comes to digestive health. Also included in this set is our Ayurvedic Guide to Healthy Digestion. Full of tips and best practices for strengthening and rebalancing digestion, the practices in this guide are easy to follow and can have a profound impact on your energy levels, digestive health and overall well-being.